Having never heard of Noctorum before my guess was to brace myself for a whole lot of heavy metal or worse. What I received instead was perfect pop/rock music, including music floating ever so lightly as if eternal. The Afterlife is an enormously varied album. Almost as if each song was a loose project without any rules attached up front. Not that the band goes over my acceptance limits, so not that wild, yet so diverse. Nearly each song deserves its own words. As that would take up too much time, yours and mine, I will pick out a few examples, but first let me introduce this band, as it it totally new for me (to?). Noctorum is a duo, perhaps a project would be a better description. Marty Willson-Piper and producer Dare Mason. 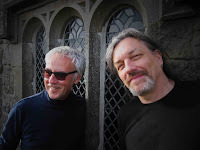 Willson-Piper has played in 80s band The Church and collaborated with many other artists. Mason produced The Church among others. They teamed up in 2002 and released four albums to date. After an hiatus of seven years the fourth album, The Afterlife, is released. On the album Noctorum explores music from West Coast singer-songwriting to progrock invested songs. The common denominator is that all are true pop songs, no matter what happens in the way they are played and arranged. The songs just come and flow ever forward. The kind of popsongs that are a true joy to listen to. The Afterlife starts after a few seconds of ghostlike psychedelic sounds with slow mariachi rhythms and trumpets (or for 50% more likely synths). TMGS, Calexico territory. The slow pace gives the listener the chance to settle into The Afterlife. 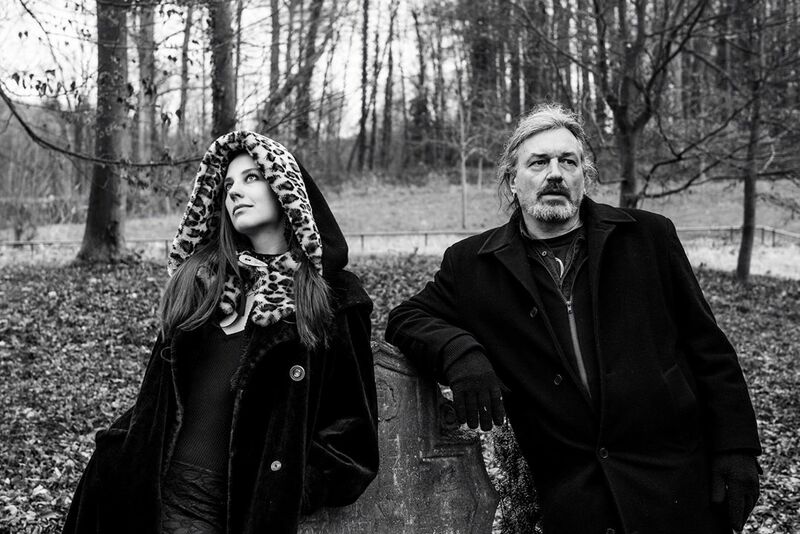 Within minutes the sense for details is divulged by Noctorum in the keyboards, the backing vocals, the trumpets. 'The Moon Drips' is a beautiful beginning of the album, but what to make of it, in the light from what follows? 'High Tide Low Tide' starts with a guitar intro and evolves into an indie guitar song. It is closer to a 70s rocker combined with 80s The Smiths than mariachi. You are starting to get the drift. The singing reminds me of Nat Freedberg's on his first solo album, 'Better Late Than Never', also released on 15 February. Both are not natural singers, yet the job gets done extremely effective and befitting the music. Next up is 'Picadilly Circus In The Rain'. The music is as melancholy as the situation asks for. "Getting tired getting old" is part of the lyrics. In a way Willson-Piper sounds the part when he sings. Everything around him belies the tiredness as things sound light and spritely albeit in an old-fashioned way. That may be the paradox of The Afterlife. There are lots of bright silver linings to the clouds hovering over the whole album. Some symphonic rock elements enter the album in a song called 'A Resurrected Man' but even more in 'Trick' and 'Head On'. 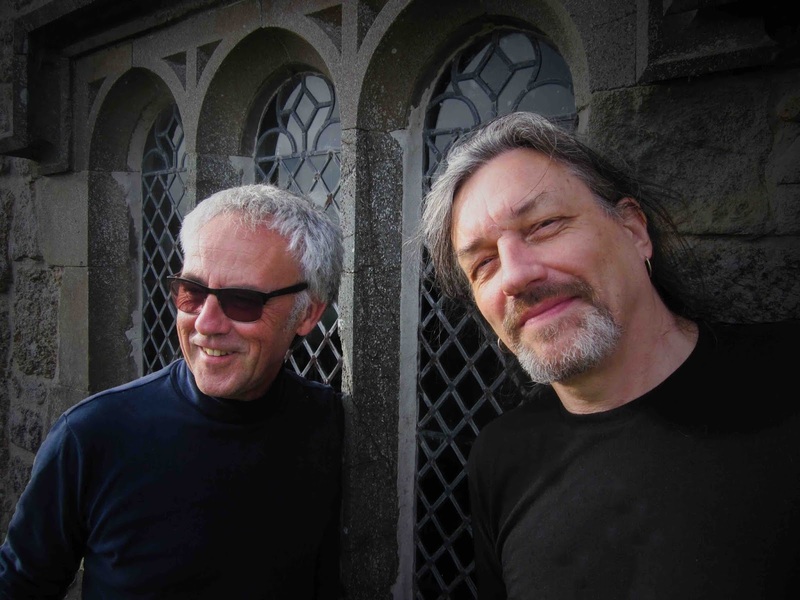 Here the influences from Dutch symphonic bands like Focus and Earth & Fire come forward. Especially in the guitar sound and way of playing. Chris Koerts and Jan Akkerman's style found a place here. And then in 'A Girl With No Love' it really starts to rock. A fiery intro and a huge guitar riff drive the song onwards. The contrast with the opening (and what follows) is huge and more or less sets The Afterlife on fire. In the meantime Noctorum takes care of the option to sing along to 'A Girl With No Love'. Finally 'Head On' presents a flute like it is 1969 all over again. The slightly haunted sound presents a 60s flute sound, 70s keyboard as like 'The Persuaders'' soundtrack and modern sounds, while Olivia Willson-Piper does an approximation of Marianne Faithfull. Together they deliver one of the highlights of The Afterlife. It is only the final song, 'In A Field Full Of Sheep' I could have done without. The lyrics are a bit like The Mamas & the Papas' 'Creeque Alley', a day in the life of The Afterlife in this case, it is the music, almost like The Afterlife had become bored with it all. It is not exactly inspiring. On The Afterlife Noctorum explore past and present in a fully satisfying way. Two ageing musicians show inspiration has nothing to do with age. 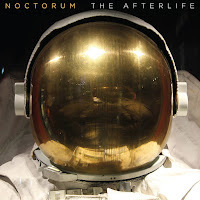 Noctorum delivers a very diverse yet solid album with The Afterlife. Many faces, yet consistent. Even a The Who style riff and organ come by in the intro to the title track after which the song takes its own turn. Just another small aspect of the band and proof how a band can surprise with each turn.